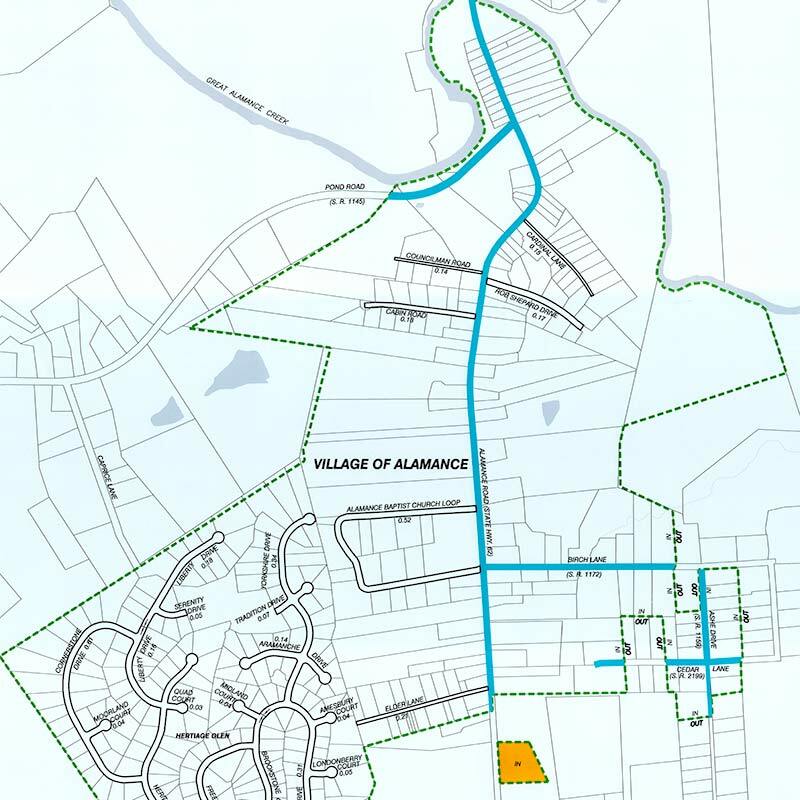 Parcels, roads, county boundaries and water courses reproduced from Alamance County GIS files. This map includes a number of dedicated but unopened or improved roads. Such roads, where the exist, are not maintained by the city nor are they included in the city maintained mileage. City maintained mileage is on streets inside the City Limits only. 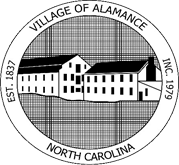 The Official Zoning Map for the Village of Alamance, NC is prepared using the most recent data provided by the Alamance County and updated in our Geographic Information System (GIS) Department and other GIS. This is a city-wide Zoning Map and is used to depict the current zoning patterns.